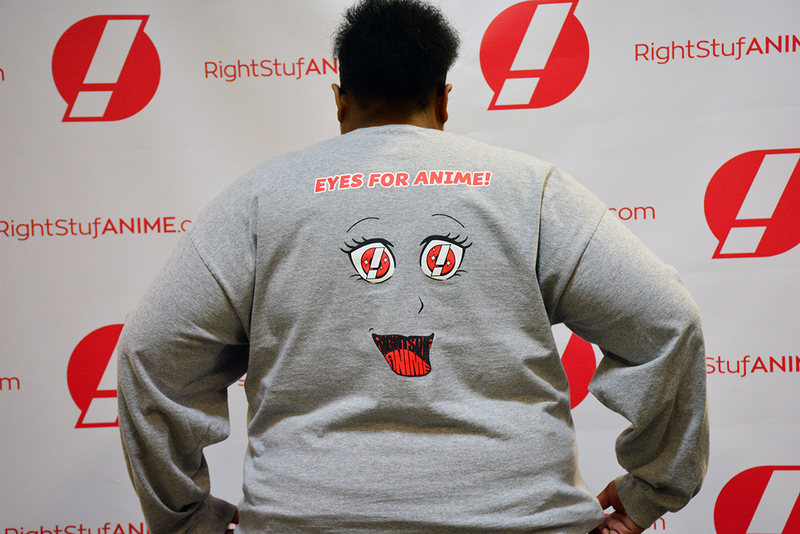 Do you have eyes for anime!? We most definitely do and now so can you! 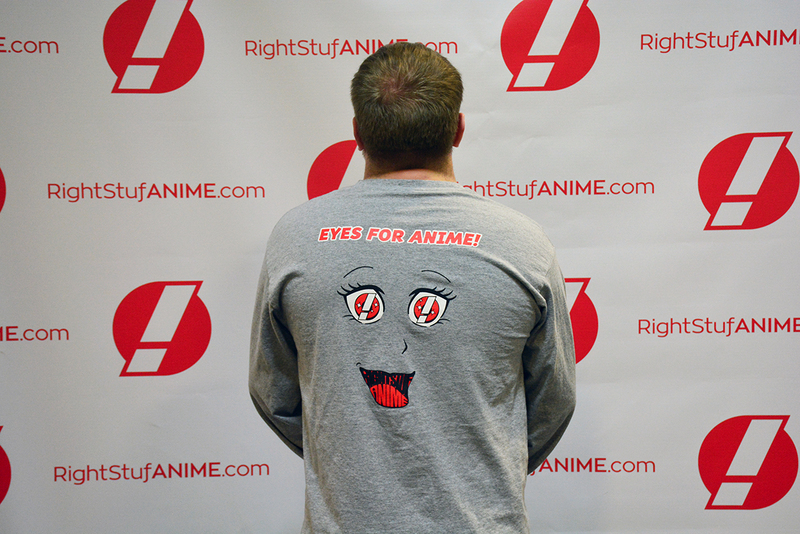 Get yourself a limited print run Righstuf Anime t-shirt: Eyes For Anime! 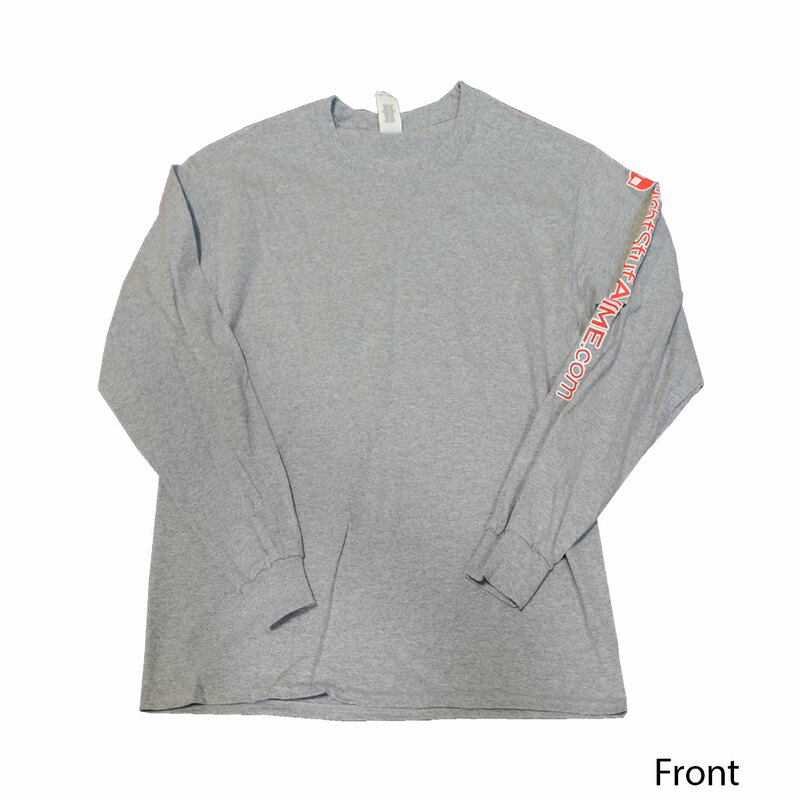 This gray t-shirt is made from 90% cotton and 10% polyester, features a sparkly-eyed face on the shirt back, and the website's address on the left sleeve. 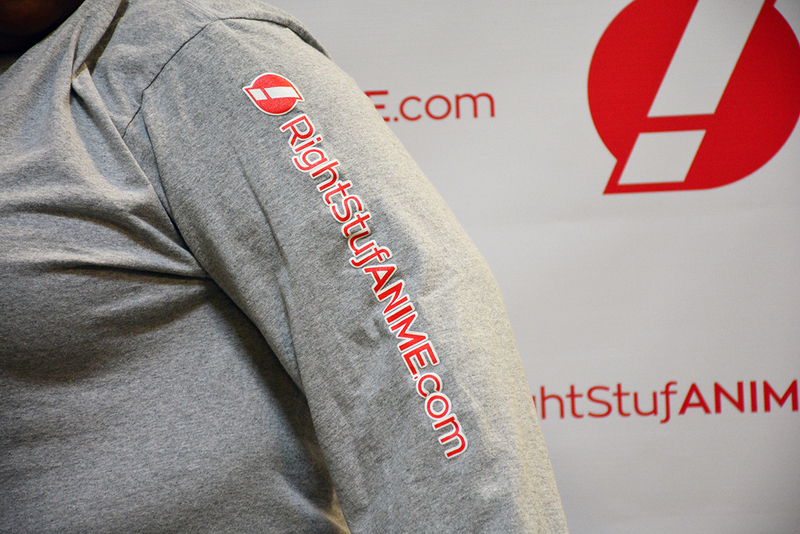 Once these t-shirts are gone they're gone! 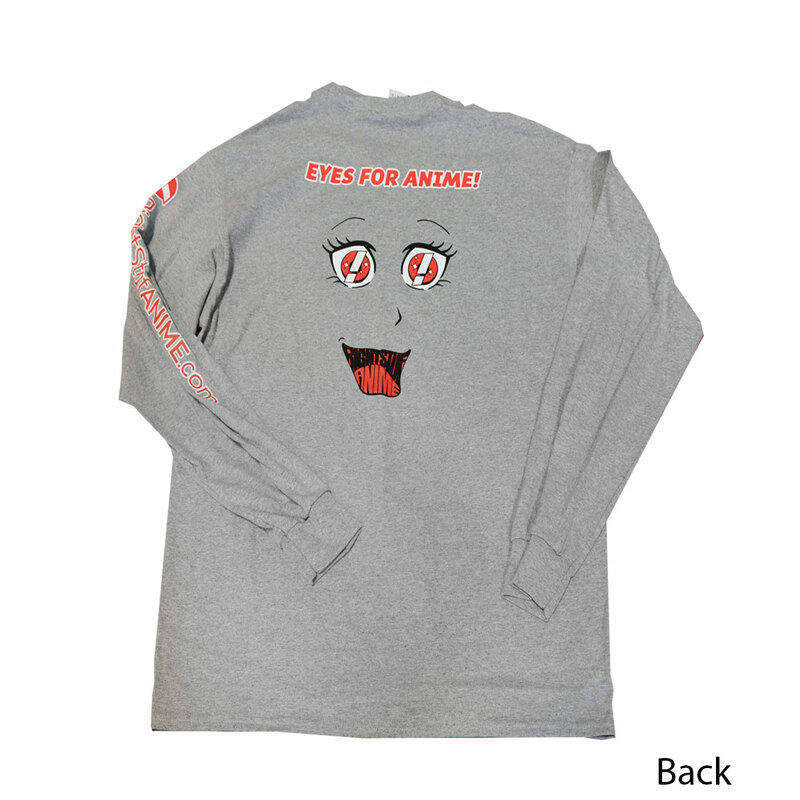 I love the idea of this shirt, it's really adorable looking, the only issue I have is the mouth, it looks a bit off to me for some reason. I would love if you could make another one with just the eyes and the phrase. 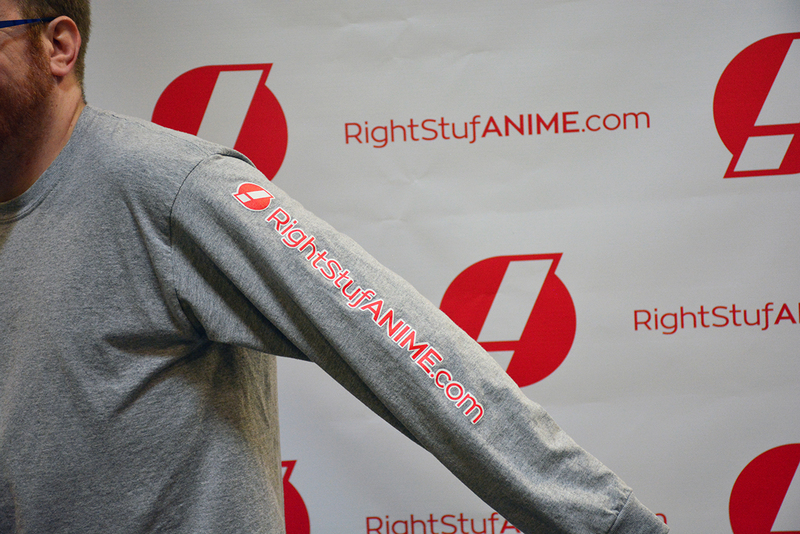 Maybe a black t-shirt? 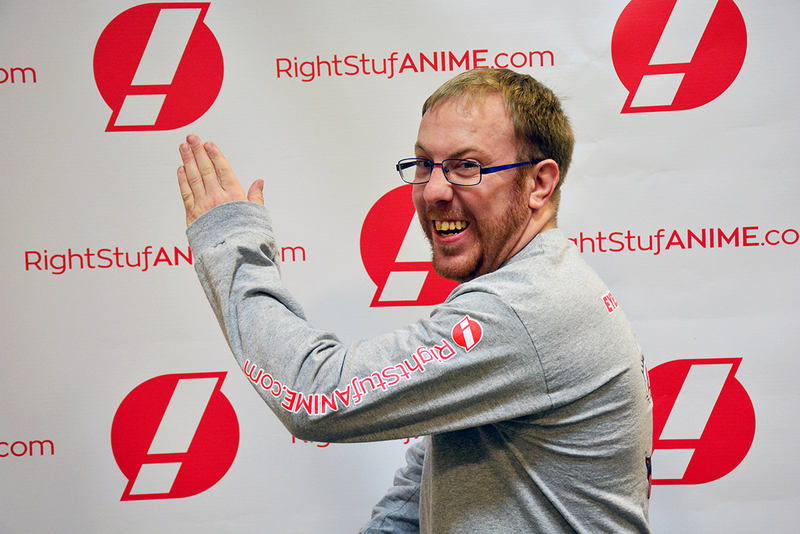 (wait I have too many black tees nevermind). I know I didn't buy it (yet) but I wanted to bring this up in hope it will be heard.